CSH LawResourcesElder Law & Estate PlanningWhat’s the penalty applied by Medicaid for gifts or transfers? The latest Insights article from Kara Gansmann appears in today’s edition of the online Greater Wilmington Business Journal. “What’s the penalty applied by Medicaid for gifts or transfers?” reviews the potential consequences associated with senior citizens gifting and transferring property in order to become Medicaid eligible. 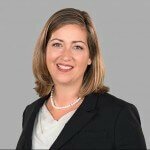 Kara is an Elder Law and Estate Planning attorney based in the Wilmington office of Cranfill Sumner & Hartzog LLP. The article is available at the Greater Wilmington Business Journal site. Kara Gansmann, a North Carolina native, is a partner in the firm’s Wilmington office, where she focuses her entire practice to elder law and estate planning. Kara is especially well-suited for this practice thanks to her strong interpersonal skills, her diplomatic demeanor, and pragmatic approach to problem-solving. She brings a solid sense of collegiality to her work with both clients and professionals, alike.